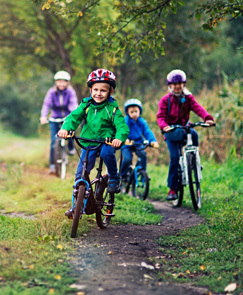 InGear Cycling & Fitness offers a wide variety of bikes, including road, mountain, multi-sport, BMX and children's. In addition to bicycles we also carry a full line of fitness equipment and a large selection of nutritional products, clothing and accessories for men, women, and children. Our service technicians provide expert repairs and maintenance on all makes of bikes and fitness equipment. 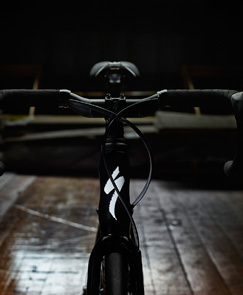 As a Quality Bicycle Products Partner, we take pride in the products we provide. Take to the road on a lightweight frame, tackle the mountain with bump-eating dual suspension, cruise along the boardwalk on a fat tire cruiser, land your next hit BMX-style, or give your kids a sense of freedom and fun with their very own 2-wheeler. 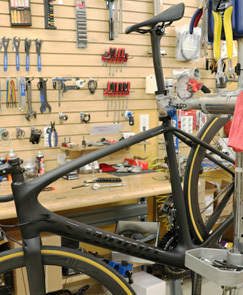 We offer free bike fitting to ensure you get the right bike for you body. We offer 12 months no interest financing on all new bike purchases. We are now a proud re-seller of Trac-Fab all terrain tracked wheelchairs. All EVO thorn resistant tubes are 2 for 1 while supplies last. We have all 2018 Kayaks and accessories marked down for year-end closeout deals. We currently have a large selection of used bikes for sale. We also purchase used bikes (some exclusions apply). We have a nice variety of seconds and blends in store. For all Veterans, active military & first responder. Have your bike ready for spring. Service specials change weekly. Pick up and delivery within 15 miles of our Hummelstown Store.